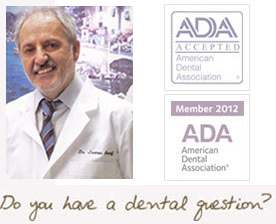 Over the past thirty two years, Dr. Asaf has changed the lives of many patients by helping them achieve their ultimate smile. We genuinely care about our patients and want you to enjoy a lifetime of healthy smiles. With our range of treatments, we’re sure to have the right treatment so you can attain the smile of your dreams. Our warm and friendly team will make your dental experience relaxing and enjoyable. We want all our patients to have a pleasant dental experience which is why we do everything we can to make you feel at ease. We have set up our practice with your comfort in mind so you can enjoy your time with us at Encino Smile Center. Providing dental excellence to familes in Encino, Tarzana, Sherman Oaks, Van Nuys, San Fernando Valley, Woodland Hills, Beverly Hills, and the Greater Los Angeles areas. If you have any questions for Encino Smile Center, please click on the button below.We will be more then happy to answer any questions you may have. Email us now!